According to a source with knowledge of these matters, a terror alert “gives authority for full mobilization of law enforcement resources to feds, state and locals.” The source told Breitbart News that the administration is supposed to issue such an alert out of the National Counterterrorism Center, via NTAS, but no such alert has been issued after the bombings in Massachusetts. When there is credible information about a threat, an NTAS Alert will be shared with the American public. It may include specific information, if available, about the nature of the threat, including the geographic region, mode of transportation, or critical infrastructure potentially affected by the threat, as well as steps that individuals and communities can take to protect themselves and help prevent, mitigate or respond to the threat. 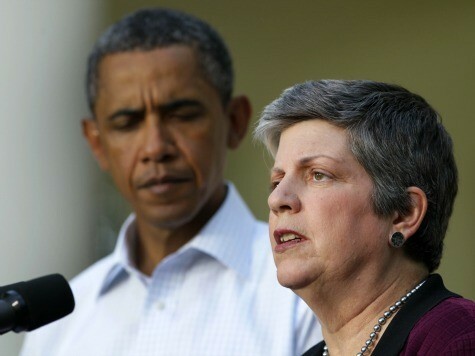 When she announced the new NTAS system’s development in a January 2011 speech, Department of Homeland Security Secretary Janet Napolitano said the system would issue alerts providing Americans with as much information as possible about a terrorist attack as soon as possible. The NTAS system officially replaced the George W. Bush administration’s color-coded threat system on April 26, 2011, a few months after that Napolitano speech praising the then-forthcoming program. NTAS is only supposed to be used in issues when there is a domestic threat, so this system would not have applied during the Benghazi terrorist attack. Barring any instances that may or may not have been solved behind-the-scenes without a public incident, the bombing at the Boston Marathon would be the first time since the NTAS system took over that it would apply. “Any event with multiple explosive devices — as this appears to be — is clearly an act of terror, and will be approached as an act of terror,” a senior White House official said, according to Politico. 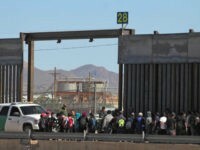 The FBI did not take over the investigation until well into Monday evening, something that may or may not have happened sooner had DHS actually employed the system it created for itself in this type of situation. When Napolitano’s statement was issued, DHS had still not sent out any alert via the NTAS system. As of this article’s publication, no alerts have been sent out. Reached by telephone Monday evening, a Department of Homeland Security spokeswoman would not comment on the administration’s decision to not issue a terror alert. She referred Breitbart News to the email hotline, and a subsequent request for further comment has gone thus far unanswered.